When I was younger, I loved Little Debbie Oatmeal Cream Pies. Who didn't? It's been a long time since I've had a Little Debbie, but those little, cream-filled cookies bring back some good memories. 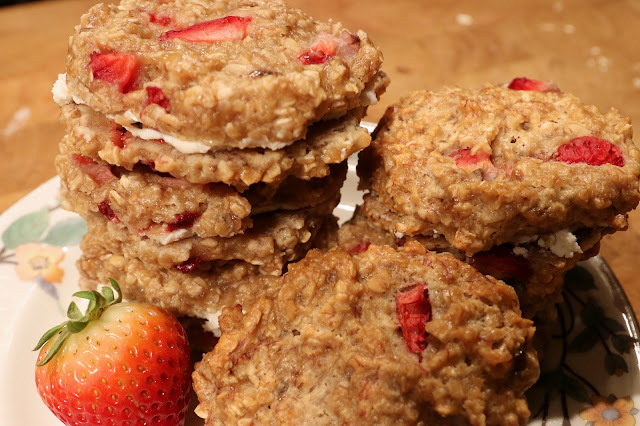 Last summer, I started making all kinds of oatmeal cookies. I'm not really sure why, I guess I was just on an oatmeal kick. 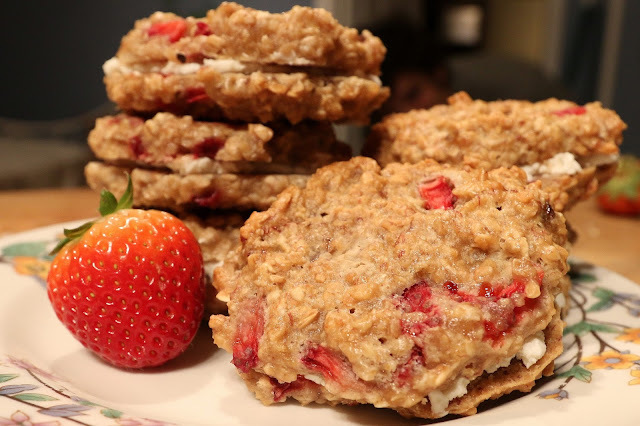 I ended up making strawberry oatmeal cookies one day and decided that they needed a cream filling. I had made a strawberry goat cheese cake the week before and had some icing left over so I used that and it was a pretty great match! This time I just skipped adding sugar to the goat cheese filling and just used honey goat cheese as is. I was a little worried that they wouldn't be as good without the extra sugar but I ended up having an accidental blind test that got rave reviews. My dad, who does not eat goat cheese, let me know the next morning that "those cookies are dangerous." I was slightly confused and then he explained that they were "so good he was in danger of eating them all." I answered with, "You do know that's goat cheese in the middle right?" He was very surprised and let me know that it was a perfect pair. If you totally hate goat cheese or like your filling a little sweeter, cream cheese icing will work as well. 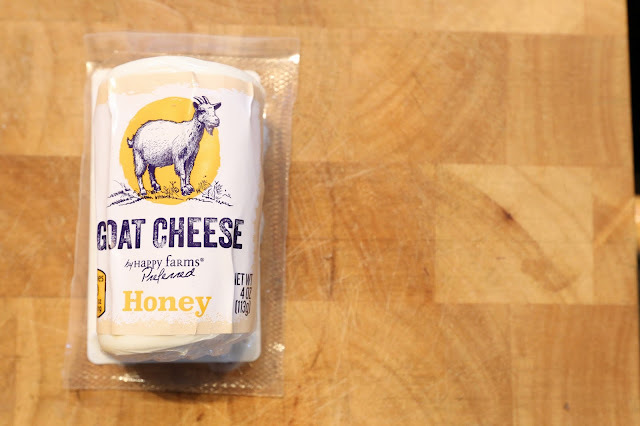 -Honey goat cheese or other filling of choice. Start by mashing the banana in a bowl and then mix in the egg, oil, and honey. 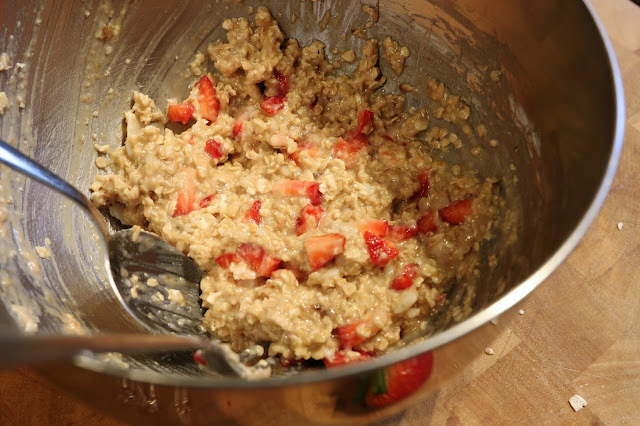 Add the flour and oats to the wet ingredients and mix well. 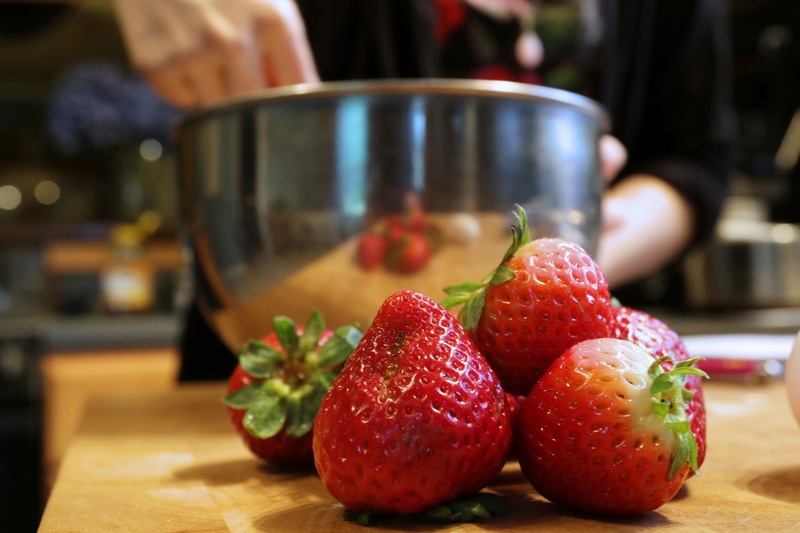 Last, stir in the strawberries. 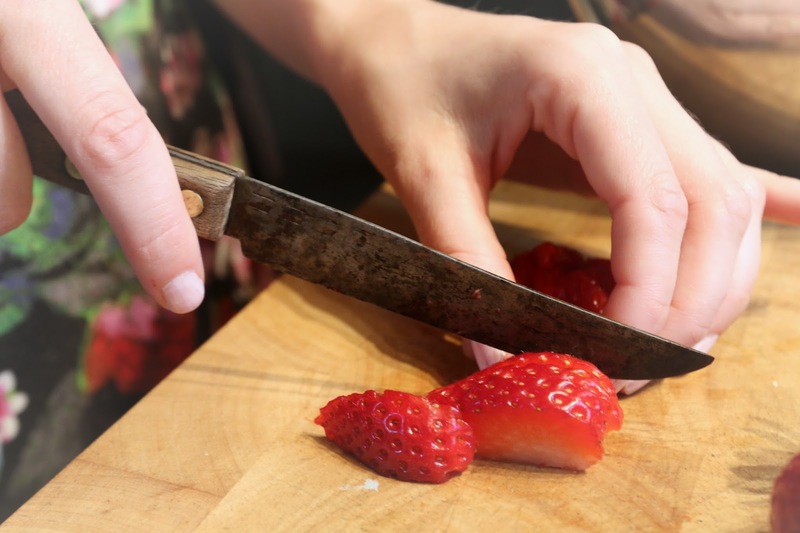 Spoon onto an oiled baking sheet and flatten slightly to the desired thickness. Try to make all the cookies the same size and shape. Keep in mind that these cookies do not rise or flatten while cooking. They will look about the same going in as they do coming out. Bake at 350 for about 15 - 20 minutes or until golden brown. Once the cookies are cooled to room temperature, fill the cookies by spreading the filling on the back of one cookie and then sandwiching it with another. Yum! I'll have to try this as soon as my bananas ripen. My family loved the honey cinnamon skillet-roasted nuts from a while back!